Awe! such sweet pictures! Love the frames! Love the frames/layering for the photos! Great job on the framing, love the layers and banners! love the layering for each of the photos! Like the border along the top and the choice of the soft colors. The photo frames are so cute. Great lo. Love the different frames for each pic! I love how you have made the photos in that old polaroid style - suits the lo so well! Way to go with the different mat styes. Love the sprinkling of hearts and the framed photos. Nice layout! sweet lo for some really sweet photos. love the soft colors and sprinkling of lil' hearts. Love the frames! Sweet lo! Love the title you used on this! Love all of those frames! I really like this design! Wonderfully scrapped! Darling darling page, love the title and oh so very true! Grands are great!! Isn't it wonderful that we can and do spend so much time with them?? I don't remember "playing" with my grandparents at all, they just didn't play! At least mine didn't. Love the way you framed them with the Polaroid type mats. Sweet page! Love the frames! 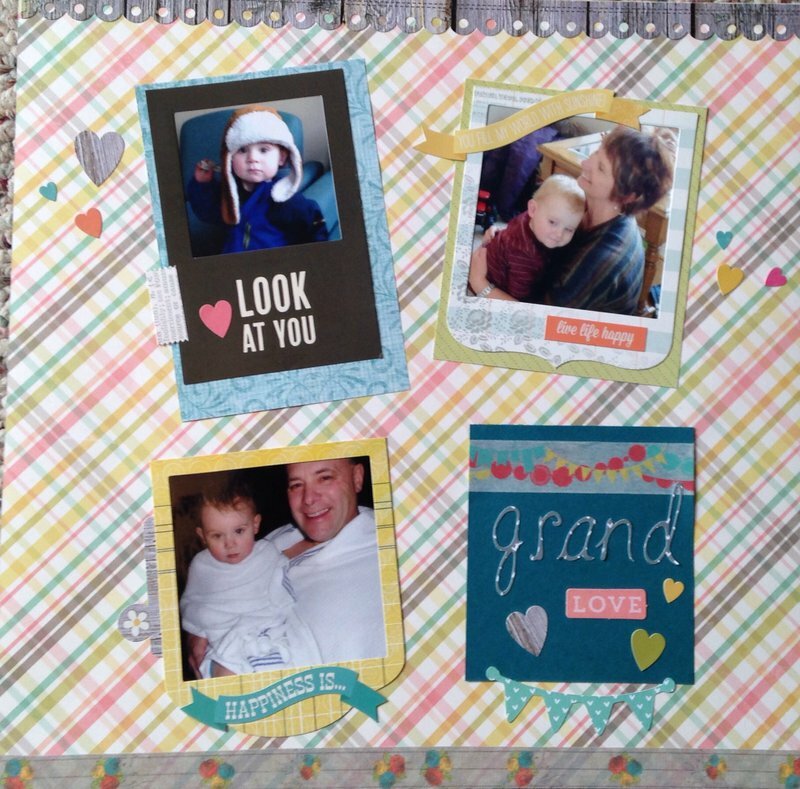 love the border and the way you matted the photos!